Federal Board SSC Part 2 Results Are Out . federal board (FBISE) SSC Pt. 2 results are to be announced at 7:00 PM today (21/6/17) . many of our students were waiting for their metric results to be announced , and the time is now ,, this announcement is the turning point in their lives , i.e , this decides their future ... Hope You All Succeed In Your Examinations . "Don't Study To Get Marks ONLY ,, But Also Study To Learn Something New ... "
"The Main Objective Of Studying Is To Get Knowledge ... (Not To Get Marks ONLY) ... "
Learn to Code For Free ,, Any Time , Any Where . Sololearn is a website which aims at teaching codes (programming) to beginners . All topics are covered , easily understandable, well ordered and perfectly explained . i myself learnt python programming from solo learn and believe me , it is best place to learn coding . A community at Sololearn is also available which helps to give a solution to your coding problems . Android apps of Sololearn are also available with-which you can learn through your smartphone . hope you liked this website , and article of mine ,, do comment and share . A Notice For AdBlock Users . you are reading this notice must mean that you use some kind of firewall or ad-blocking software on maxpapers.blogspot.com which is preventing it from fully loading . we don't use any banner , flash , animation , obnoxious sound , or pop-up ads . we don't implement any type of annoying ads on maxpapers . we need money to operate this website and all of it comes from our online advertising . please consider disabling your ad-blocking software or add maxpapers to your whitelist . maxpapers is providing you with free past papers for Cambridge and local boards of pakistan . these papers are copyrighted and are property of their respective owners , not of maxpapers . this is the main reason google adsense is not approving maxpapers , so we have to rely on infolinks which pays 10 times less than Google AdSense . 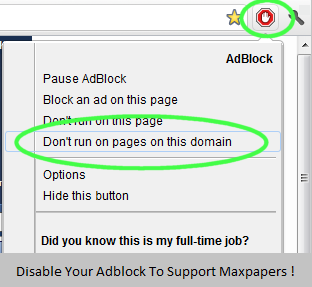 you , disabling your ad-blocker on maxpapers would help alot ... Thanks In Advance . Lesson Plans For Teachers . It allows you to manage your time, effort and resources efficiently. It gives you a bird’s eye of view of things to be taught and learned everyday. It provides the teacher many ways to keep the teaching process not monotonous and redundant. Keep in mind that the attention of your students and pupils is just equivalent to half of their age, and a lesson is the best way to keep the interests of students and pupils interests all throughout. Since it is like a script in movies, lesson plans makes teaching mundane and easy. It makes you organized whilst teaching. You can able to determine when to insert icebreakers and interesting facts and lessons to keep your student and pupils glued to their lessons. Variations in the activities are easily whipped out which will benefit your students. Bear in mind that you are dealing with a class that has multiple intelligence, and different activities will cater to all types of students and pupils. Lesson plans will easily help you to achieve your goals and objectives, and same can be said on the part of your students or pupils. Lesson plans helps you get rid of problems or avoid them. It gives you a reality check of your everyday performance. It improves the habit and attitude of your students or pupils. It definitely improves your teaching skills. Lesson plans is vital in teaching, it gives you the guide you need to pull through. Bear in mind that teaching is a difficult since you are dealing with children or teenagers with raw skills, knowledge, and wisdom. Finally, with lesson plans you will be able to impart the things they need to do the best of your abilities. List Of Private Schools In Islamabad . List Of Universities In Pakistan . Many questions are asked about the list of private and public universities in pakistan which are recognized by HEC. HEC RECOGNIZED UNIVERSITIES/DEGREE AWARDING INSTITUTES (DAIS) OF PAKISTAN IN PUBLIC & PRIVATE SECTOR. The universities in Pakistan are recognized by HEC(higher education commission.The higher education system here includes private and public universities.Public universities are supported by state government or government of Pakistan.Private universities are supported by different bodies or societies.Before 2003,universities were recognized by university grants commision(UGC) Under the university grants commision act,1974.Below is the list of all public and private universities in pakistan which are rocognized by HEC. The names of universities are given in alphabetic order along with their city and official websites.